BAR HARBOR, MAINE – The MDI Biological Laboratory has announced the establishment of the William Procter Scientific Innovation Fund in honor of Dr. William Procter (1873-1951), a businessman, entrepreneur and scientist. Procter's seven-part "Biological Survey of the Mount Desert Region," published between 1927 and 1946, has been an invaluable resource for biologists studying the fauna of the Mount Desert region. "We are enormously grateful for the establishment of the Procter Fund, which will support research that may be perceived as conceptually risky by traditional funding sources," said Kevin Strange, Ph.D., president of the MDI Biological Laboratory. "The fund honors the legacy of Procter, who as a creative businessman recognized the need for out-of-the-box approaches to make revolutionary advances." The fund was established by a member of Procter's family in honor of his achievements in science and business. 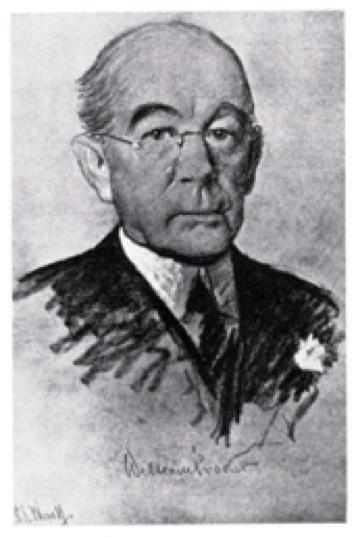 Strange and his wife and laboratory manager Rebecca Morrison attracted the interest of the donor by highlighting the parallels between Procter's achievements and the institution's current focus on translating scientific discoveries into therapies to treat major diseases and improve quality of life. "Procter's interest was in the diversity of life," said Strange. "Though nearly a century has elapsed since he began his work here, we are still studying that diversity. Our focus is on studying diverse, highly regenerative animals in order to develop drugs that trigger our innate capacities for regeneration. In his combined interests in nature and entrepreneurship, Procter anticipated where the institution is today." Procter made significant contributions to the MDI Biological Laboratory, for which he served as trustee and president. Under the influence of early naturalists like Louis Agassiz, a Harvard professor who urged his students to "study nature, not books," he established a research station at the laboratory in 1921. Though he would later relocate to a larger facility at his summer cottage, "Corfield," in Bar Harbor, the buildings he constructed still remain. Today, Procter's collection is housed at the William Otis Sawtelle Collections and Research Center at the headquarters of Acadia National Park in Bar Harbor, where it is used to study changes that have occurred in insect and marine life, Procter's main areas of interest. Scott Swann, a lecturer in natural history at the College of the Atlantic in Bar Harbor, has called the survey "a brilliant data set that is stunning, complete, and meticulous." Procter's interest in innovation grew out of his board membership at P&G, which was, and remains, committed to innovation in all aspects of its business. "For more than 175 years, innovation has been in our DNA," reads a company slogan. One of the company's innovators was Procter's farther, Harley Thomas Procter, a marketing pioneer who turned P&G into a household name with his decision to rename its soap "Ivory." We are pioneering new approaches to regenerative medicine focused on developing drugs that slow age-related degenerative diseases and activate our natural ability to heal. Our unique approach has identified potential therapies that could revolutionize the treatment of heart disease, muscular dystrophy, nerve damage and more. Through the Maine Center for Biomedical Innovation we are preparing students for 21st century careers and equipping entrepreneurs with the knowledge, skills and resources needed to turn discoveries into applications that improve human health and well-being. For more information, please visit mdibl.org.